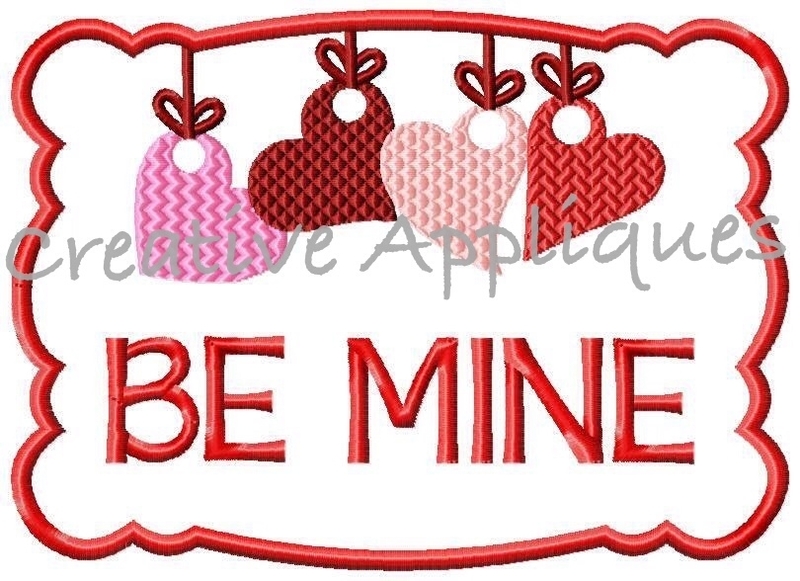 Valentine Be Mine Love Heart Frame Applique - 4 Sizes! This frame uses one piece of fabric. The hearts are all fill stitching. It is perfect for Valentines or even Mother’s Day. It looks great on towels, shirts or bags! This design comes in 4 sizes: 4x4, 5x7, 6x10 and 8x8 (Durkee/Fast Frame). 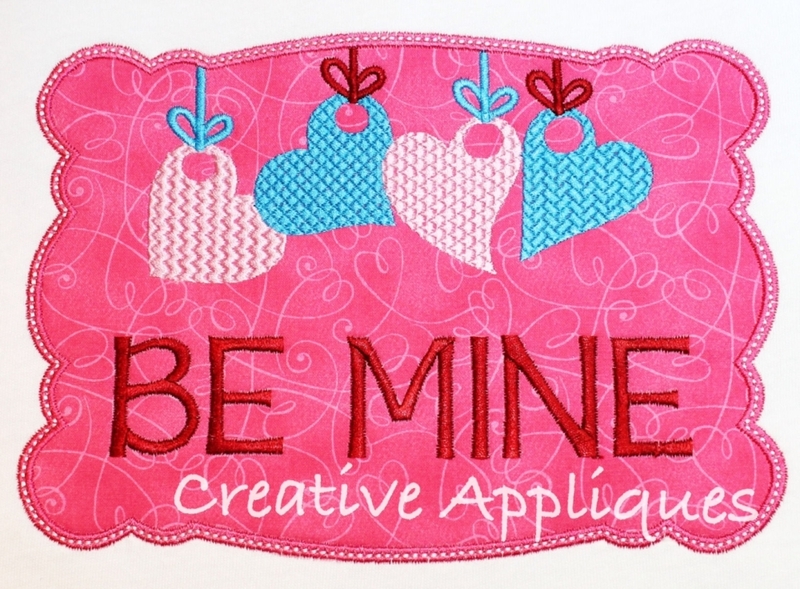 Valentine Round Love Monster Applique - 4 Sizes!